In 'If I Understood You Would I Have This Look on My Face' Alan Alda tells us communication is key, but understanding how to communicate shows you the lock. ‘If I Understood You, Would I Have This Look on My Face: My Adventures in the Art and Science of Relating and Communicating’ by Alan Aldais in itself a testament to the very subject he is talking about. It’s easy to read, comprehend, and Alda takes great care in letting the reader feel exactly why the idea of communication is so important. 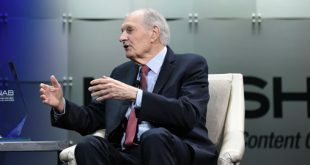 Like millions of others, I knew Alan Alda from his years on the influential and significant TV show, “M*A*S*H*.” What I was unaware of was his passion for science and his desire to better communicate that passion to others. He hosted the show “Scientific American Frontiers” for eleven years among a host of other efforts in that realm. This book is the culmination of decades of information gleaned from his own journeys and experiences trying to learn what makes communication succeed or fail. There is something inherently intimidating about writing a review on a book about how to communicate better. If the review itself isn’t written well, if I don’t relate my opinion and intention sufficiently, then the reader can surmise I didn’t read the book closely enough. So to the readers of this review: I took copious notes and hopefully just by writing those all down I helped cement some of the amazing insights included into my brain. People are dying because we can’t communicate in ways that allow us to understand one another. He refers later to war as “the most extreme form of poor communication”, which will likely stand the test of time as the most insightful definition to date. Whether in conversations between friends and family or testimony given under oath in front of Congress, crucial communication is happening every moment of the day. The studies Alda reviews and discusses can be applied widely, but he focuses on improving the clarity of communication between the world of science and the rest of us. At a time when some in power still doubt the reality of climate change or exactly what happens inside the body of a pregnant woman, improving this avenue of sharing intelligence couldn’t be more relevant. A central paradigm shift I experienced was Alda points out multiple times that the responsibility of making sure the other person is completely understanding what’s being said is not on the listener but instead on the speaker. No matter how smart you are and how powerful and definitive the information is coming out of your mouth, if the person on the other end doesn’t understand you the entire effort is pointless. Add to the fact you cannot demand everyone else in the world know exactly the same information you do (which would negate the need for communication anyway,) it becomes your responsibility to learn exactly how to communicate with the specific audience you’re dealing with. There are any numbers of factors at play in each communication, whether in-person, written, or recorded; tone of voice, amount and pace of information, levels of Oxytocin in the brain, and most importantly, empathy. Empathizing with your audience, whether it’s one person or a crowd, is key to knowing how to craft your communication. It’s a matter of connecting what you are saying to what is important to the audience, making it something they can immediately visualize in their mind. Also, when information is combined with an emotional response it increases the chance it will be remembered. A pleasurable response works well, but studies do show that fear forms an even stronger bond. ‘If I Understood You, Would I Have This Look on My Face?’ has a wealth of other information I think is incredibly important, but in an effort not to write an entire book reviewing another book I will leave it at this: Communication is key, but understanding how to communicate shows you the lock. People send me stuff. If I like it, I tell you all about it. There is always a story to be told.